Anime is one of my favorite drawing styles, and one of the reasons I like to draw. I am sure many people share the same view as me, seeing how the Internet is full of fellow anime artists out there. You Are Still Not Good At Drawing. Are Anime & Manga Drawing Books Useful? Like I said above, drawing anime may sound easy at first, giving how one can draw an anime character by making few lines and all. But that doesn’t mean it is that simple. Because even few seemingly simple lines takes some skills to make. So working on your drawing skills is the first step you need to make. Besides your drawing skills, you need to understand the human body or any object you want to draw before you can draw it correctly. Since you are drawing a human character, even for anime character, you still need some understanding of the anatomy to draw it correctly, while all of us know how the human body looks like, most of us won’t understand what it consist of until we study it. Understanding the body starts from looking at it to studying its full anatomy. How much understanding you need depends on what is the final result you want to achieve. For one, drawing a very simple figure wouldn’t require too much understanding of the body, while a detailed muscular figure would require that you know every muscle location that appear in it, or you won’t be able to draw it the right way. Besides understanding the human body, anime has its own unique style you need to understand, for simple anime drawings, that may not be an issue, but chances that you are likely going to imitate your favorite anime style sooner or later. Let me give you an example, despite looking simple, there are many subtle differences in some of anime eye, many lines and shapes are combined together to give you the feeling of how the eye looks like. Yes, it is all done with simple lines and shapes, but it is done in a smart way that takes some time to understand. While other parts of anime character like the hair or chin may appear simple, some of the other parts are totally not, like the clothes, which tend to be more detailed, and in some cases, really detailed. 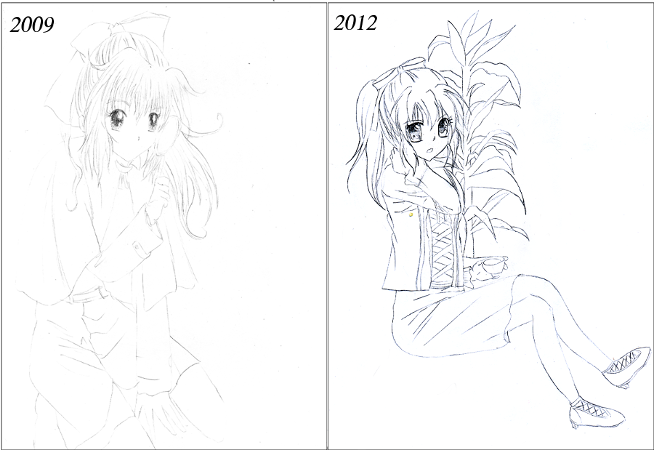 If you already have good drawing skills, then drawing anime is going to be much easier. But you still need to do things like understanding how the proportions of anime drawings are different. While I already presented many concepts to you here, while leaving out some of the concepts you will need later, like perspective, don’t let that overwhelm you. I am just trying to say that Anime drawing may seem simple that it deceives people into thinking that it is easy, that is can be learned very quickly. And when someone tries to do it that way, they end up getting frustrated and probably doubting themselves, and that’s what I am trying to help you avoid here. The more your hand gets used to it, and the more you use techniques like guidelines, the easier it will feel. There are many things that will come as obstacles along the way, like proportions. Also, some other areas can be devil, like the hands, all these obstacles will requires you to set some time to study & practice them individually. I know this advice is hard to follow, as you would be very likely want to draw your favorite characters. But let’s face it, drawing simpler characters is easier, and it will help you gain some of the skills you need to draw the more sophisticated ones with time. To make this advice easier to follow, try to find a simple character you like, drawing a Chibi version of your favorite character is one way to get around that. As any anime character can be drawn that way. While browsing the Internet, you may have find some books that teaches you how to draw anime or Manga. And that you may be wondering if these books are good. The answer to this question is yes & no. Yes, because such books may help you understand how the anime/Manga style work. No because they usually won’t teach you what you need to know to be great at drawing, like many of these are things I mentioned above. Now, I am not telling you to not get books like these, just don’t fully depend on them. If you are interested, JBox has a good collection of books , which ranges from moe characters to military uniforms. So feel free to check out those books out by clicking here. Let me be honest with you, while I tried my best to show you some details of what you need to get your hand on anime drawing, there are many things I omitted because they are outside the scope of this article, plus, I really wanted to make the article simple to understand. There are additional concepts & exercises that you need to look at a later time of your learning, like perspective, composition, guidelines, simple drawing exercises, and many more. And again, you need to learn what you need to achieve your goal, if your goal is to copy an anime picture you have, then you only need the things I mentioned in the first part of this article, but if you want to draw what you want, and ultimately express yourself, then you need to dedicate some time to learn something about each of those. I hope you found my article useful, and that you don’t think that anime is hard to draw, at least not as much as you may have done before you started reading it. Anime & Manga drawing books in JBox. Anime or manga is the simplest thing to draw, in fact that kind of art is an oversimplification because the artist doesn’t have much time to make it and it´s cheap. So, the style has evolved to be faster, simple and cute. Is not like the comics book where the draws are very detailed, with color and everything. none is better than another, but for the beginners the anime and manga style is easiest. Well, the amount of details in Anime & Manga depends on the style, some are really detailed, some art not. But I agree that some cartoonish styles are easier to draw for beginners. The first time I did chibi , I felt it was easy! I figured out that manga felt harder. Is this true? Well, yes. 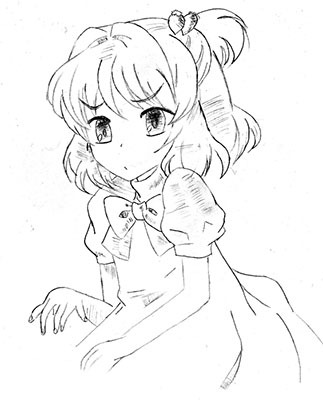 Manga is more detailed than Chibi, so it takes a bit more to draw them. Starting with Chibi is good start to learn some line art by the way. AMEN to what you said above!! I got so mad when I f****d up on my first 3 tries!!! Now I’m “doubting” myself, and I think I’ll never learn!!! Amen to this passage, but why do I flaw? Why is anime so hard to draw?! Why I Love Shoujo Anime & Manga so much? Overview on modern Atelier games. With a Arland VS Dusk VS Mysterious Comparison.